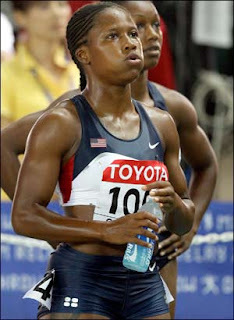 American former World 100m champion Lauryn Williams, says she would train in Jamaica if given the chance. Williams, who won the women’s 100m title at the IAAF World Championships in Helsinki, Finland in 2005, said she would be glad to take advantage of any opportunities in Jamaica. “If someone extend the invitation and the training facilities are opened up to me I would definitely opt to come to Jamaica, train and take advantage of any opportunities here,” she said. “I train in Miami Florida so the weather is not much different, it is almost the same,” added the American.